Dine like a regular and pay like a boss in Los Angeles with OpenTable Tab, a new payment experience that gives diners a way to quickly and easily settle a check at any time as well as providing restaurants with a unique way to deliver classic hospitality. Currently available at more than 75 restaurants in Los Angeles, OpenTable Tab will be introduced in more U.S. cities later this year. 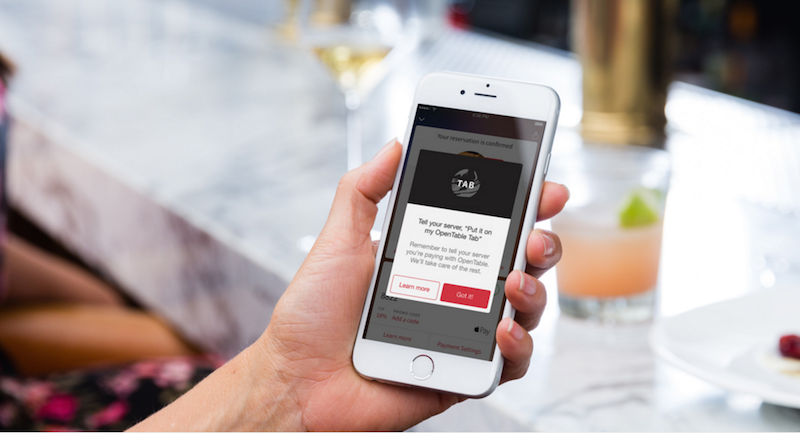 To experience OpenTable Tab, simply tap the Tab feature when you book your reservation at a participating restaurant. Once you’re at the restaurant and ready to leave – or at any time during their meal – you can let your server know you want to put your meal on your OpenTable Tab and then get up and go whenever you’re ready. When no cash or cards exchange hands at the table, you’re free to live in the moment. To learn more about Tab and view the current list of participating restaurants visit https://tab.opentable.com/. Share your experiences with OpenTable Tab with us on Facebook, G+, Instagram, Pinterest, or Twitter using the hashtags #dinelikearegular + #paylikeaboss + #opentabletab. OpenTable Tab is designed to reinvent and simplify the way diners pay at restaurants and enhance the overall dining experience.